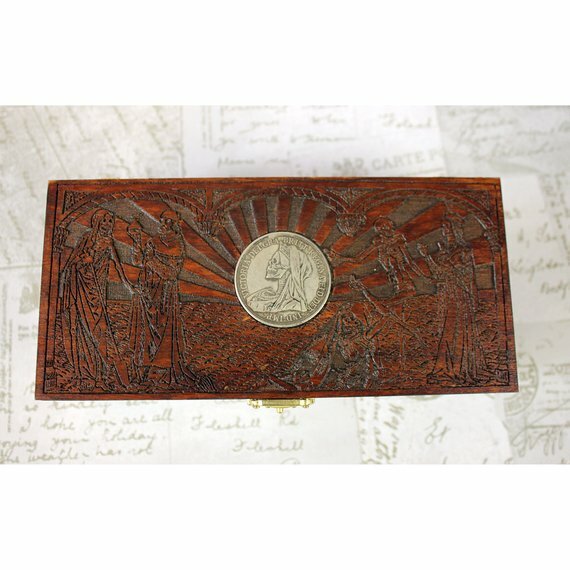 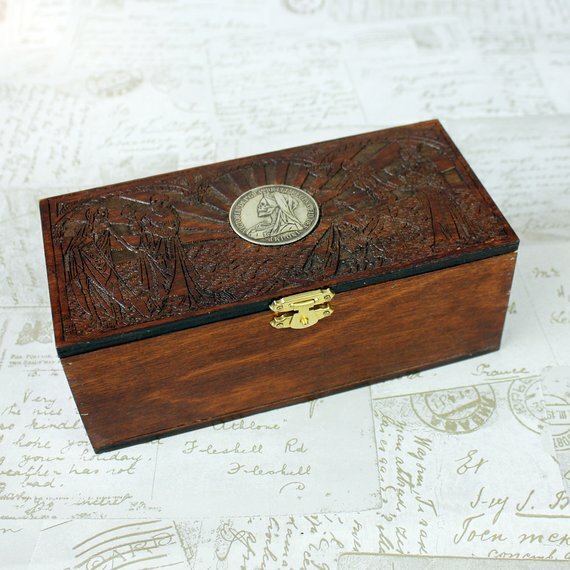 This is a wooden box with a hinge and clasp featuring a woodcut design on the lid with an embedded skull coin. 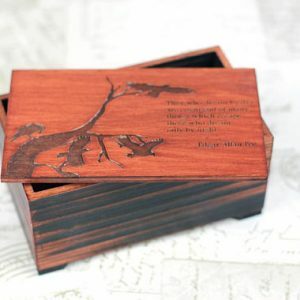 The inside base is lined with black felt. 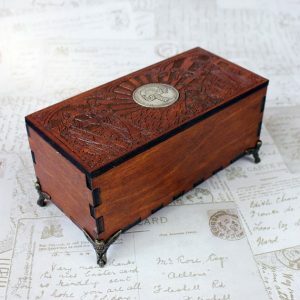 This box could happily live on an altar to hold precious items or Wicca tools. 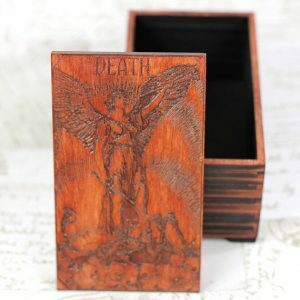 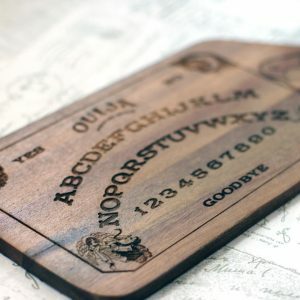 It can also be a unique wooden pencil case. 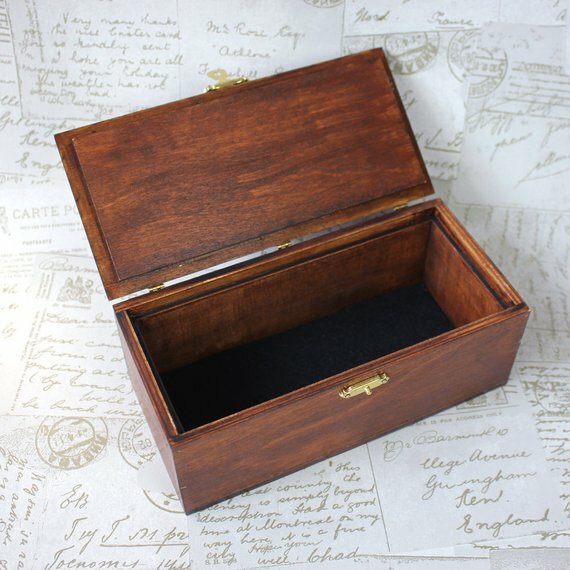 The external dimensions of the box are 19 x 9 x 7 cm or approximately 7 x 3.5 x 3 inches.